(Editor’s Note: One-by-one aging nuclear power plants are being shuttered, partly due to the work of anti-nuclear power advocates, but mostly because the economics of boiling water with a nuclear chain reaction don’t work for businesses. This story by Terri Hallenbeck is from the Burlington Free Press). 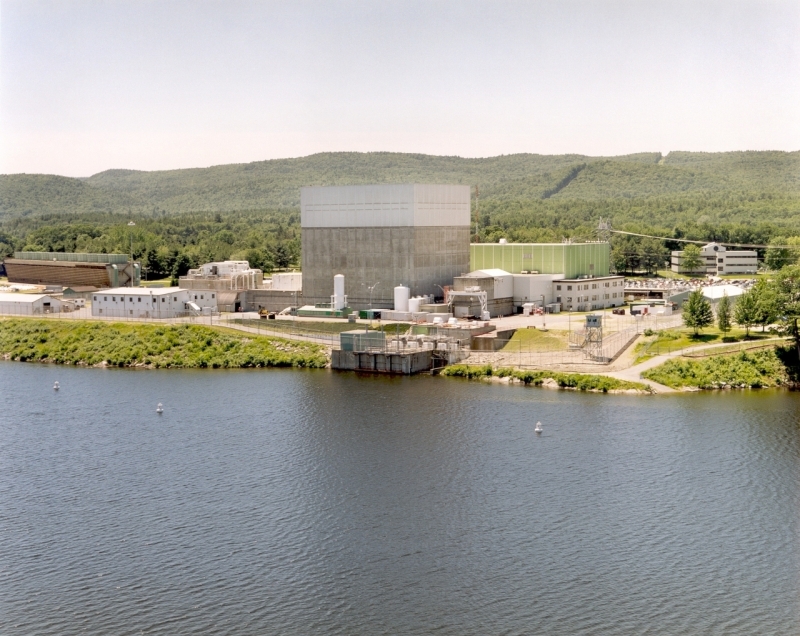 BRATTLEBORO, Vt.— Entergy Corp. announced it will close the Vermont Yankee nuclear power plant, which it had fought so vigorously to keep open. The company said it plans to close and begin decommissioning the 600 megawatt Vernon plant by the end of 2014. Gov. Peter Shumlin welcomed the closing of Vermont Yankee as “the right decision for Vermont,” and he pledged to help the 650 plant workers— about 260 of whom are Vermonters— find new jobs. The average annual salary is $90,000. Shumlin said he had a cordial conversation with top Entergy officials, vowing future collaboration. The governor had been Entergy’s staunch adversary in calling for Vermont Yankee’s shutdown, but today his tone was conciliatory as he stressed a future of working together. Entergy made the decision to shut down Vermont Yankee on Sunday, but informed the Vermont governor of its decision only Tuesday morning. Entergy official Bill Mohl said at a news conference at company headquarters in Brattleboro that the shut-down decision was based on economic performance, not litigation risk or political pressure. This entry was posted in Energy, Nuclear Abolition and tagged nuclear abolition, nuclear power, Vermont Yankee. Bookmark the permalink.